Musings about writing, being a freelance editor, and life in general, with healthy doses of humor and unapologetic acts of silliness. Sometimes in the middle of a hectic day, you find yourself confronted with a most unexpected moment of grace. These small moments are as unplanned as they are lifesaving. I have a lovely oil painting of a pastoral scene that I treasure. It's a picture of an old farmstead, complete with windmill, pasture, falling down fence, and ancient tree hanging over a small pond. There are patches of sunlight filtering through the tree branches, creating bright spots in the rutted path between the pond and the tree. Due to the picture's location, at a certain time of day a beam of sunlight falls on the picture, illuminating the rutted path in a surreal duplication of the picture's illuminated rutted path. You've heard the old saying, "Art imitates life." In this case, life imitates art! I love my bathroom! Is it weird to like your bathroom so much that you turn it into a showcase of textures, design, and artwork? 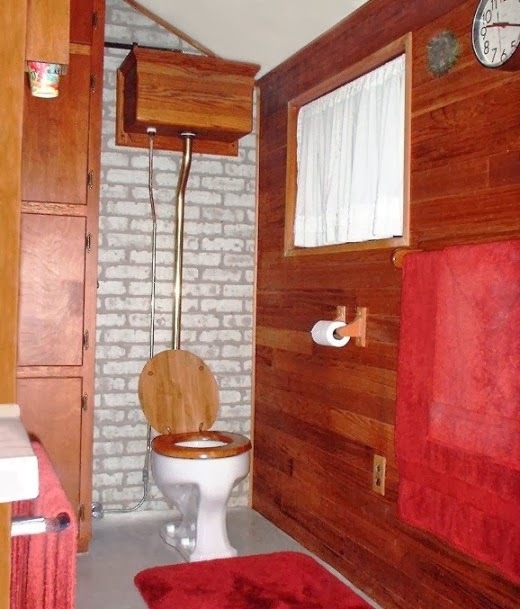 I had great fun designing the room 40 years ago when I bought this house. 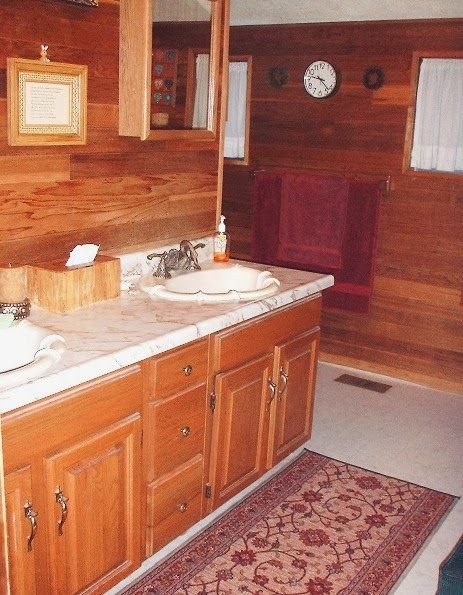 It's large for a bathroom, as large as my spare bedroom. When I first bought the place, I completely gutted the ugly bathroom, getting rid of a battered tub and rust-stained toilet, the chipped sink and vanity, and the rickety old linen closet. I installed real tongue-and-groove cedar on most of the walls, and faux brick paneling on another wall and behind the toilet. 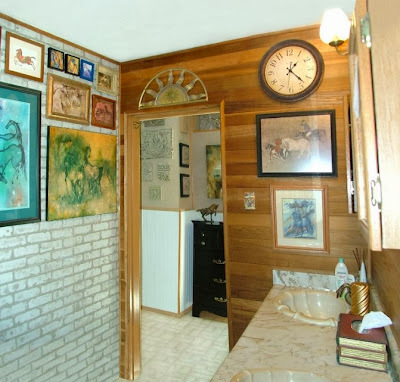 And because I am an art collector with a special fondness for horses, and because there was so much wall space in the bathroom, I filled the walls with artwork. Around the corner where you can see the toilet. The bathtub is to the left. 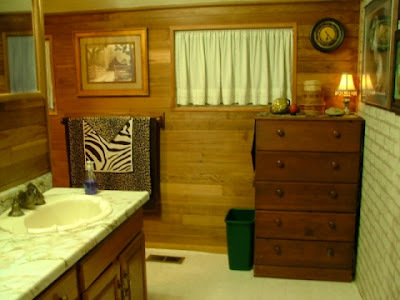 You can see part of the vanity in the left margin of the picture, and beside the toilet is part of the linen closet. Another view, showing the dresser and part of the art gallery to the right. Turned around and looking toward the bathroom doorway and hall outside. One of the blogs I follow is the Beeswax Chatterbox by Amy Kinsch. Amy owns Beeswax Rubber Stamps and some of my favorite stamps came from Beeswax. This creative lady also makes beads--some of the most beautiful beads I've ever seen. A couple of weeks ago I posted a tribute to the pets I have lost in the past year. This post will be about the new animals in my life. I lost my Boxer, Asterisk, in December of 2012. 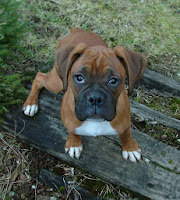 Thinking it would take a few months to find another rescue Boxer, I listed my name with Pacific Northwest Boxer Rescue. Two days later, I had a new Boxer! Actually, she's not a purebred. Judging by the shape of her head, she has some Pit Bull in her. Regardless, she's an utter delight.I named her Shona, and she'll be 3-years-old next month. She'd been picked up as a stray in California, and when they transported her to Washington State, where the Boxer rescue is located, she was emaciated. Now she's a sleek girl and, like all Boxers, she has that happy-go-lucky personality that is the Boxer's trademark. Then, while having an Independence Day BBQ at my sister and brother-in-law's farm this past July, we kept hearing this loud chirping noise coming from the vicinity of their barn. The chirping became more and more distressed, and upon investigation a very hungry orphaned kitten was found. She was only 3 weeks old and weighed 9 ounces. I took her home and hand-raised her on KMR (Kitten Milk Replacer), bottle feeding her every 4 hours. It turns out she's a polydactyl--she has extra toes. You can see her "thumbs" in the picture on the right. She's now 5-months-old and living up to her name of Sparky Tabasco. Though she's diminutive at 5 pounds, she's an adventuresome soul and keeps me thoroughly entertained with her antics. She adores the dogs, and sleeps with Shona, my Boxer. And speaking of dogs, I now have a new Doberman! Hoping I'd find one as quickly as I found Shona (2 days!) 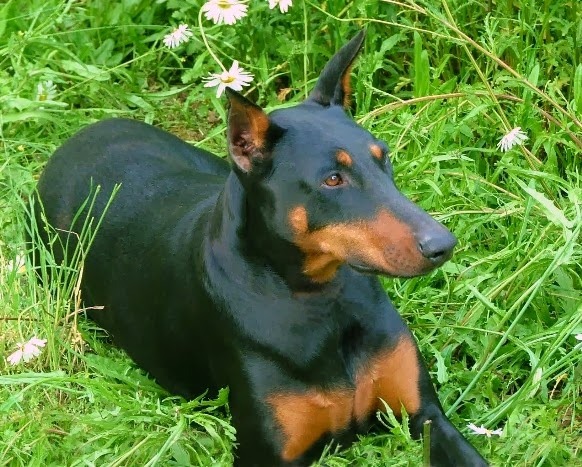 I listed my name with the Doberman rep at Seattle Purebred Dog Rescue. Alas, I had to wait 2 months before the right Dobe became available. She was a true charity case. Her original owners had her spayed, but the surgery went wrong and she developed a serious infection. Due to lack of funds, they waited until Kyanne was seriously ill before taking her to the emergency vet clinic. There, they abandoned her without paying for the second surgery to save her life. The good people at the clinic realized what a nice dog Kyanne was and decided she deserved a chance, so they cared for her until a good home could be found. That's where I came in. Kyanne arrived here two weeks ago and she fit right in. 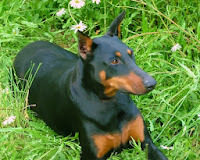 She's a 2-year-old black and rust Dobe with a sleek body and the longest legs I've ever seen on a Doberman. Though Shona is a muscular 65 pounds, Kyanne is a tall, slender, 75 pounds. 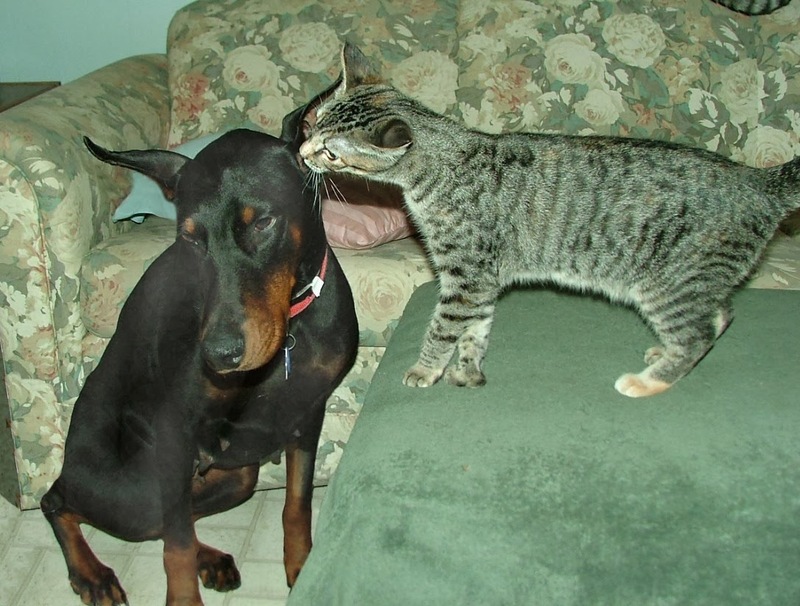 She is very sweet natured and gets along great with Shona, and even puts up with Sparky's pestering, as you can see by the above picture. I am very blessed. Shona, Sparky, and Kyanne have brought me much joy, and make my days brighter. And not to sound crass, but now that Christopher is gone, I plan on adopting another rescue kitten. 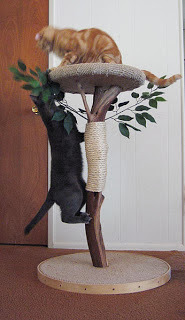 I can't imagine life without critters in the house, and kittens are the best form of entertainment! In approximately one year I've lost 5 pets. Each loss was like losing a family member. In July of 2012 I lost my 15-year-old cat, Lord Byron. Byron didn't have a lot between the ears, but he was a wonderful conversationalist and a great lap warmer. Here's his picture. Then in December of 2012 I lost my 4-year-old Boxer, Asterisk, due to acute renal failure. She seemed perfectly normal until she started having seizures out of the blue. I rushed her to the vet, never expecting I'd return home with an empty collar and leash. That's her on the right as a 4-month-old puppy. 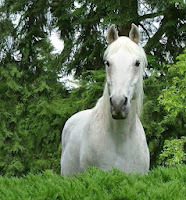 Then in February of 2013, my 30-year-old horse, Tempest, became very ill. I did everything I could for him, but advanced old age and cancer took their dreadful toll. I still find myself glancing out the window at the pasture, expecting to see him. worse than the disease. Six weeks later I couldn't bear what she was going through and made the heartbreaking decision to end her suffering. of a large goose's egg. So far, he is in no pain and the tumor hasn't limited his mobility, but the end is fast approaching, and Christopher will soon be the 5th pet that I've lost in a year. This is my tribute to those pets. They each deserve special recognition for the richness and companionship that they brought to my life. They will not be forgotten. In a few days I will do another post . 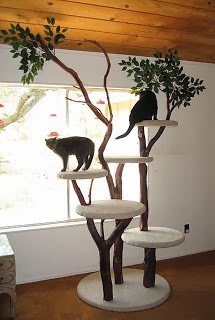 . . about the new pets that have entered my life and honored those who have gone before, by bringing me much joy and companionship. Last week we had a storm with resultant power outage. By the second day I was hankering for a nice hot cup of coffee and a hot breakfast, so I bundled up and drove to the nearest McDonald's because I love their coffee. To my dismay, it looked like everyone else had the same idea. A double line of cars were queued at the drive up window, stretching far out into the road. The parking lot was full. By then, I was in line and couldn't turn around. So I crept forward by inches with everyone else. Finally, I reached the speaker box and placed my order. But when I got to the payment window, the girl waved me on, saying a nice man several cars ahead of us (and now long gone) had given her a handful of cash and told her to use it to pay for the meals of everyone in line until the money ran out! She told me I was the last person to get a free meal, leaving a balance of 10¢. I was so touched by such unexpected bounty that I handed her my money anyway, and told her to apply it to the next car in line. She beamed, and said, "Wouldn't it be nice if this started a chain reaction?!!" Indeed, wouldn't it be nice! That man's act of generosity made my week. For the rest of that day I was filled with goodwill, not only from the unexpected kindness of a stranger, but that I was able to pay it forward to another stranger. This isn't the first time I've been involved in something like this. I was at a Starbucks in a grocery store once, and after placing my order, the clerk smiled and said someone had already paid for it. Shortly thereafter, I paid $5 for a raffle ticket and won a $100 Starbucks gift card. I love Starbucks, but it would take me a year to use up $100. So I went to that same grocery store and got myself a Starbucks mocha and then told the clerk to keep the card and use it to cover customers' orders until it was used up. I left feeling ten feet tall. It made me feel so good to be able to do that, and it was fun imagining the reactions of recipients. In fact, it became addictive. Every so often, I give the Starbucks clerk a little extra, to cover the next person in line behind me. Most of the times I can make my getaway quietly, but one time a lady followed me up and down the grocery store aisles, trying to catch up to me to thank me for such a pleasant surprise. I blushed. She blushed. And we parted company, each of us glowing with goodwill. We're approaching the holiday season. It's a time for sharing. Won't you consider paying it forward sometime, and making a stranger happy? I guarantee you'll benefit as richly as the recipient. I've been away far too long! Sorry 'bout that. I shall try to be more consistent with my posts. 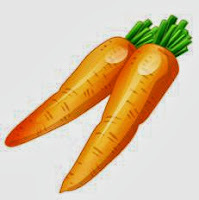 I'm sitting here eating baby carrots dipped in Best Foods mayonnaise.Yum! I'm careful when I buy baby carrots. If the package says baby cut carrots, they're big carrots whittled down to baby size. If you prefer the sweeter, more tender infant carrots, the package will just say "baby carrots." The word to watch out for is "cut." Yesterday I was in the produce aisle of the grocery store and while picking up a bunch of parsley, another bunch that was stuck to mine came loose and fell to the floor. I retrieved it and put it in my cart, to be discarded later. No way was I going to return that parsley to the produce stand after being on a floor that had been trampled by hundreds of dirty shoes. 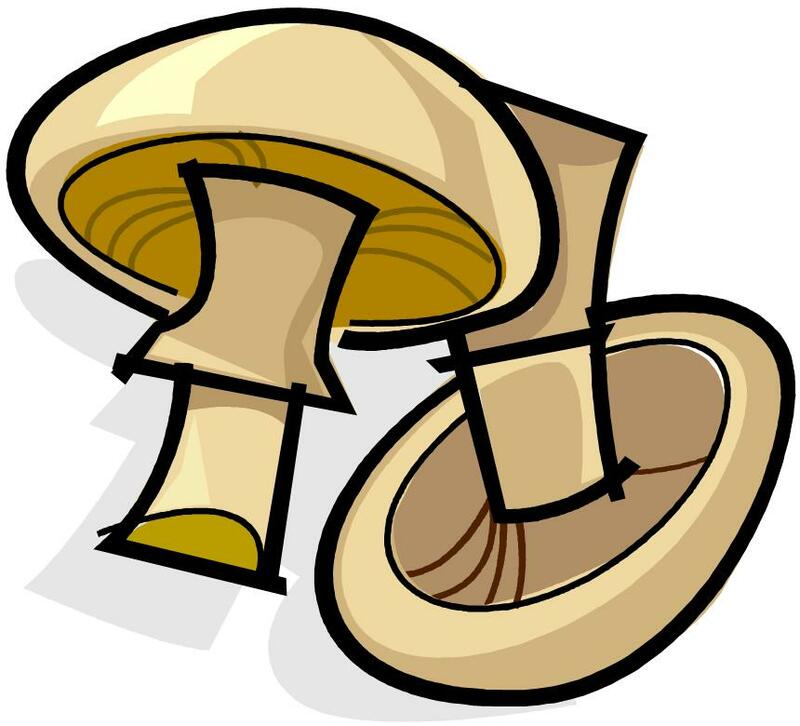 However, as I was picking up the floor parsley, the guy next to me dropped several large mushrooms from the fresh mushroom bin. They scattered all over the floor. To his credit he picked up every errant mushroom, but to my shock he returned them all to the mushroom bin! Had his wife been with him, I'm sure she would have slapped the back of his head. Yes, mushrooms grow in dirt, but the floor of the grocery store was none too clean, as I discovered when I bent to pick up the parsley and got an eye-level view of the toe-kick space under the veggie bins. When I was a child, I believed in the universal rule that any food that fell on the floor could be instantly sanitized by blowing on it. Now that I know better, I thoroughly wash my grocery store veggies and fruits before using them. After all, some unknown person before me could have dropped them on the floor! I'm losing the Grass Wars battle. Don't get me wrong. I love grass, especially in the spring and fall when growth spurts turn the grass into a wondrous neon green. But I don't like grass growing in my gravel driveway. Twice every year I get out my pump sprayer and attack the grass growing in the driveway. 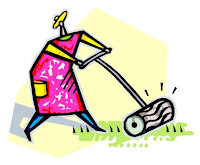 I use Round-up and spray the driveway thoroughly, using a stronger-than-called-for mixture of Round-up and water. It's supposed to kill grass for a year. It doesn't. In 6 months I have to spray again. I don't want to mow my driveway. I like the clean, crisp look of a manicured lawn and weed-free driveway. But no matter how often I spray my driveway, the grass keeps coming back. I wish I knew a cure for driveway grass! I've tried everything: boiling water, vinegar, hot oil (note to self: do not dump donut-frying oil in your driveway--it will attract every varmint for miles around!). Nothing seems to work. If you have any tips for getting rid of grass permanently, do let me know! Wow, has it really been this long since my last post? Guess I've been really busy! This will be a "letting off steam" post. Not very interesting, so you may want to skip. I'm going to rant. I'm reading Facebook posts for a client (I maintain their Facebook pages) and I'm growing more and more appalled at how nasty people are nowadays! No forgiveness, no ignoring things that irritate you, no diplomacy, no stopping to think yours isn't the only opinion that counts. Just lashing out. And doing it publicly. On Facebook, Twitter, and many other social media outlets.What is wrong with people? One Facebooker posted a gripe, saying she hated it when cashiers commented on her purchases. She went on to say it wasn't their business what she was making for dinner or how many cats she had. She was so irritated that she wrote her post in caps, with lots of exclamation points. She was really wound up. I mean, come on! The clerk was only trying to be friendly with a little innocuous chit-chat. In fact, one grocery store clerk even commented that customer service was important and that small talk was just a clerk's way of being friendly. The other day I was half a second too slow after the red light turned green, and the guy behind me honked his horn impatiently. A month earlier I was waiting for a person to finish backing out of his parking spot so that I could claim it. I had my blinker on. Nobody else was around. But when the car had finished backing out, and as I started to pull into the spot, a woman in a huge SUV came out of nowhere and cut me off, zooming into the spot. She knew very well I had first dibs. 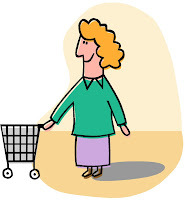 And recently I was in the grocery store, headed for the checkout stand. 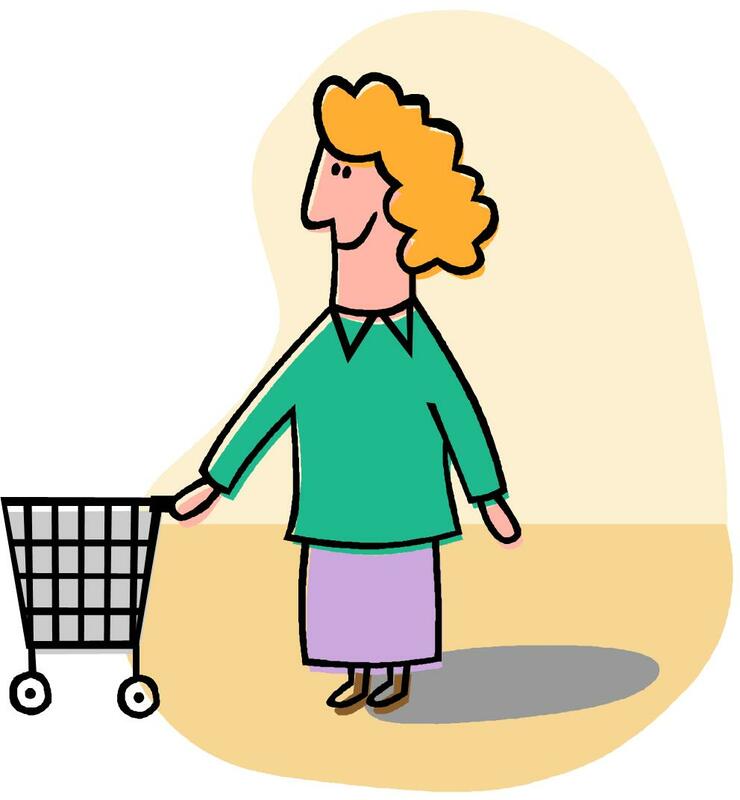 There were several long lines, and I was turning my cart into another line when another shopper barged in front of me with her cart. There's no way she didn't know I was technically in line ahead of her. What is it with people? What is it with people??? I've recently discovered I have sleep apnea. Additionally, I have a breathing disorder where I stop breathing, not only at night but during the day. I was totally unaware of this until the pulmonary specialist told me. Wow! So she scheduled me for a sleep study at the local hospital because she suspected I had sleep apnea. That sleep study was a disaster. I got less than an hour's worth of sleep, and during the night I stopped breathing an average of 95 times an hour. As a result, I had to get a CPAP machine to aid me in breathing properly at night. The air conditioning was broken in my sleeping room during that first test, resulting in my inability to fall asleep because the room was so hot. Last night I had my second sleep study at the hospital, to see if I've improved since I got the CPAP, and it was worse than my first study! This time, the room was sufficiently cold, but the air conditioner blasted so much air into the room that it kept blowing across my face--something I really dislike. And it's hard to get comfortable with a million wires glued to your head, neck, face, chest, and legs. Also, they tried something new with the CPAP and it was so bizarre that I kept fighting the machine. For some reason, my pulmonary doc wanted them to calibrate the machine so that it "aided" me in exhaling. This meant that as I was breathing in, and before I had completed the air intake, it suddenly created reverse pressure, sucking the air out of my lungs! Gahhh!!! It made me feel like I was suffocating because I couldn't finish an adequate intake of air before it was being sucked out. Complicating the situation was the fact my back and leg were killing me, and the pain kept me awake. And here's something really weird: I got a Charlie horse on the inside of my thigh, from groin to knee! I've never had that happen before! The end result is that I am classified as having severe sleep apnea. The technician said, "Severe, as in VERY severe." Oh dear. 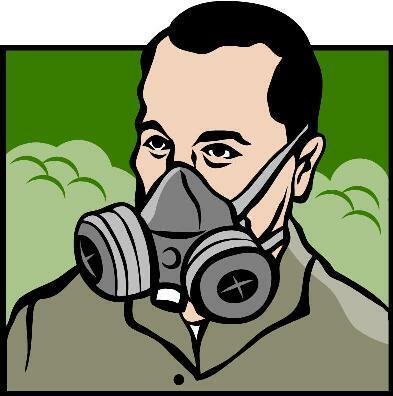 I also have a problem with the nose mask I was given when I picked up my CPAP machine last week. It blows air on my face, especially my eyes and lips, and because I cannot tolerate that, I have a hard time falling asleep at home. I wake up with swollen eyelids and dry, cracked lips as a result. Also, my nose mask keeps poking me in the eyelids due to the way it's constructed. I'll be exchanging it for a more suitable model when I go back for a check-up next week. Take a deep breath. Let it out. Take another deep breath. Breathe. BREATHE. Today a pulmonary specialist told me that I'm not breathing properly. As in, several times during my consultation with her, I stopped breathing. When she asked me to walk around her office so she could observe me, I stopped breathing. When I talked to her, she pointed out when I had stopped breathing during the conversation. I remembered when I was in the recovery room last December after my hysterectomy due to endometrial cancer, the nurse told me that I stopped breathing several times, up to 20 seconds at a time. I was flabbergasted. I mean, breathing is automatic, isn't it? Who would intentionally stop breathing or hold her breath? Turns out, I would. And I don't know why I do it. I wasn't even aware I did it! But it has caused a host of other health problems, including irregular pulse and a heart working too hard. So I'm making signs saying BREATHE and posting them all over the house. And I have officially retired from Holmes Editorial Services. I'm keeping some of my old clients, but not taking any new ones. For the first time in my life, I am learning how to breathe. ﻿﻿﻿﻿ It's hard to believe that it's been one year since I was bitten multiple times on the leg by a spider as I slept in my bed. Next time I take the sheets off the clothesline, I'll give them a good shake before putting them on my bed! This is how my leg looks one year and 2 days after the spider bites. It still itches insanely, and nothing seems to help. The hydrocortisone ointment prescribed by my doc does zilch. The Vitamin E seems to help a little. But the itching still remains. Of greater concern is a series of health issues preventing me from doing the most mundane daily tasks. The back and leg pain are mostly to blame, but significant arthritis in both feet and lower spine are the biggest culprits. The good news is that I'm in physical therapy three times a week, and a battery of docs and specialists are probing into other health issues. I've been poked and prodded, X-rayed and ultrasounded, had bone scans and mammograms, had my lungs tested and my privates inspected, had my meds played with and other meds rejected. I am heartily sick of it all. Well, not all of it. I do love the physical therapy, even if they make me work hard. It takes a huge chunk out of my day, but after 2 hours of intense stretching, heat and electrotherapy, muscle massage and isometrics, I walk out of the PT clinic as loose as a goose and feeling like a wet noodle, and my pain greatly reduced. Except earlier this week we overdid it and I ended up hobbling out of the clinic with a strained muscle in my leg. I'm back to hobbling around on crutches, but subsequent therapy has helped a lot. Still, I'm just such an optimistic person that I am enjoying each sunrise and each sunset. And every time I start to feel sorry for myself, I see someone so much worse off than I am. It makes me grateful for what I have. And that's the secret to a happy life. Gratitude. And a glad heart. Yesterday I had an appointment to take my car to the car hospital to get its air conditioning fixed. My appointment was for 10:00 a.m. I am most definitely not an early riser, so I had to set my alarm for 9:00 o'clock to make sure I got up in plenty of time. I checked, and then double checked, to make sure the clock was set for the proper time, that the alarm button was pulled out properly, then turned out the light and tried to sleep. It was 6:30 a.m. I'd get 2 1/2 hours of sleep. What can I say? I'm a night owl. Anyway, I was so worried about the alarm that I turned on the light and checked the clock once again, just to make sure the alarm had been set correctly. 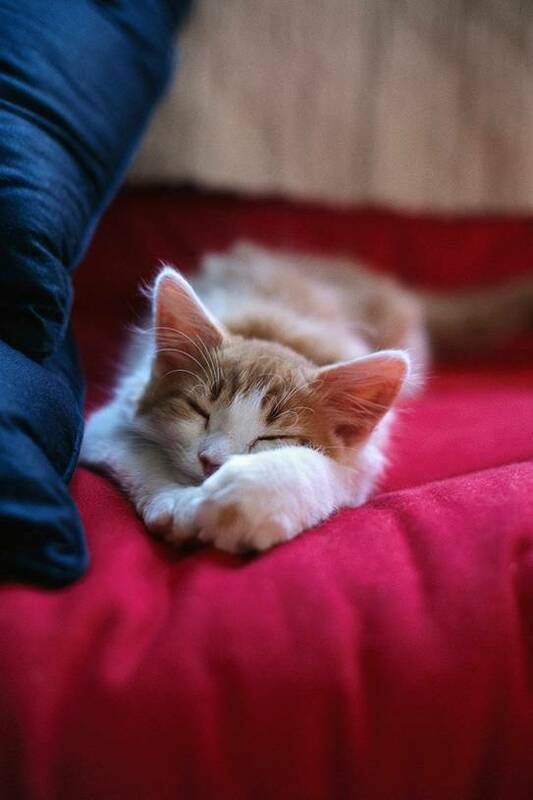 Satisfied, I turned out the light and fell asleep. What seemed like minutes later, the alarm woke me at 9:00 o'clock. I grabbed the clock and turned off the alarm. I had 45 minutes to get dressed, coffeed up, and out the door for my 10 o'clock appointment. The next thing I knew, I awoke at 11:30 a.m. with the alarm clock still in my hand. Yes, I had fallen back asleep. I called the shop and told them I'd overslept and could I still take my car in, or did I need to reschedule. They laughed and said I could bring my car in. Note to self: get a bigger alarm clock! Now I've seen it all. I don't know whether to laugh or cry. I just found a Web site by accident called Books By the Foot. They sell hardcover books. By the foot. These books are meant for display, not reading, so titles are not listed. 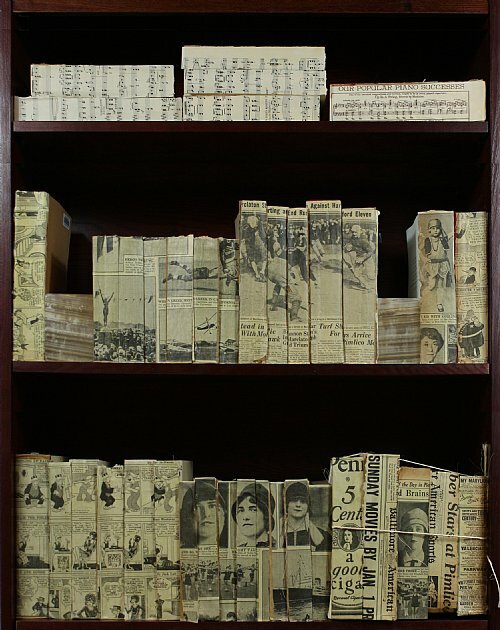 Buyers include interior decorators and homeowners who want to add a whiff of culture to their homes by displaying artistically arranged books. You literally buy the books by the inch, be it 12 inches worth of books or 12 feet (or 100 feet). You can specify if you want a color scheme, such as all earthtone book covers, or all green or blue books, or maybe you want all vintage-look books. Or how about monochromatic "wrapped" books where all books are wrapped in colored paper according to your color scheme. If you like uniformity, you can buy sets of encyclopedias, or indulge in "boutique" books with theme-type covers, such as African animal prints--zebra, leopard, giraffe, etc. 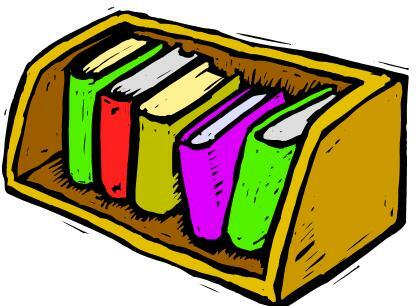 You can buy books by subject matter, or "chopped" books that have had the bottoms lopped off to make them fit smaller shelves. 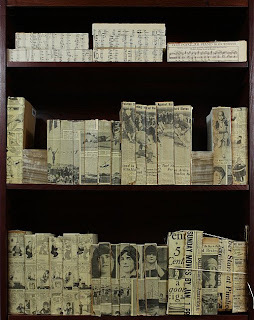 My personal favorite, one I must admit I very much liked the look of, was the Newspaper Decoupage Accent line, where book spines were covered in vintage-look newspapers. For about $25 per linear foot, you can have this distinctive accent for your bookshelves! I'll admit that I love the look of rows and rows of books lined up artistically in bookshelves, with the occasional knick-knack or treasured memento tucked among the books here and there. That's how many rooms in my house look: lots of bookshelves filled with books and treasures. The difference is that every book was hand-picked by me, and most of them have been read by me. To date, I have over 5,000 books, most of them hardbacks, many purchased for a song from library book sales. I love these books, and love how they give warmth and character to a room. But I do find it a little sad to think of books merely as objects to be looked at but not to be read. I'm retired from freelance editing and living the good life. I love not working for a living! I live on a small farm in rural western Washington State where I reside with my dogs, cats, and horses. I have a warped sense of humor and I'm joyously silly most of the time.